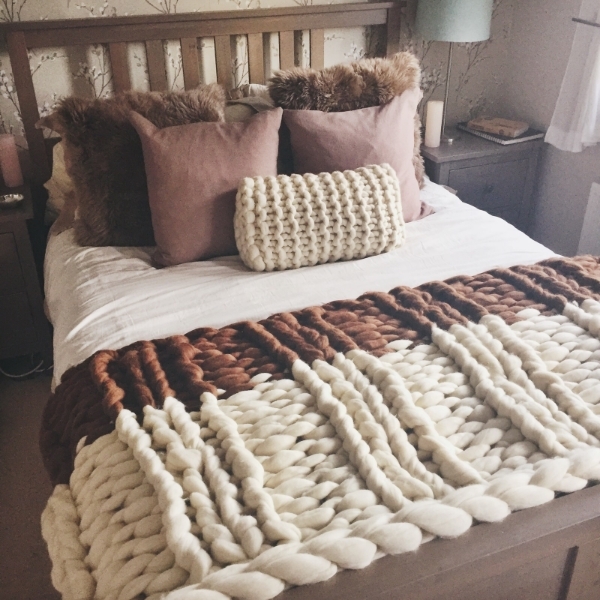 I absolutely love hearing your thoughts on products I'm developing and I really like sharing them with you before they are official items to sell, so I hope you don't mind me asking again but if you fancy playing with a few drop down options to let me know your thoughts on a new blanket I'm developing I'd LOVE to hear what you have to say! And here's the Questionnaire. There's space for you to choose your favorite 2 combinations. For Throw 1 please let me know a combination that would stop you in your tracks - a WOW blanket! and Throw 2 would be the combination you'd buy for your own house, personally, which colours would work for you? Of course there's an 'Other Info' box in case there's anything else you'd like to add or other combinations that you've thought up! A throw that you would want in your home, Which colours would work for you? 4. If you were going to buy a blanket would you rather a two colour or all one colour? 5. Final Question - Are you fed up of Questionnaires? Never! I love a tick box! As a thank you for your help I've set up a secret 10% discount code just for you! It's valid until midnight on Wednesday 4th May. Just type it in at the checkout.